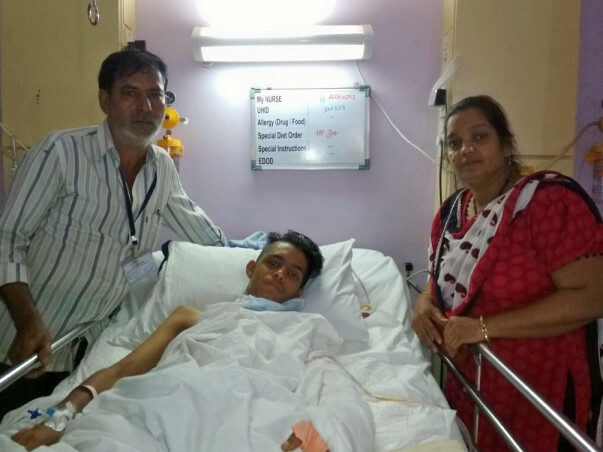 After meeting with a terrible accident, 16-year-old Aman Baig, son of Abdul Baig, injured his left arm severely and needs to get it operated on an urgent basis. 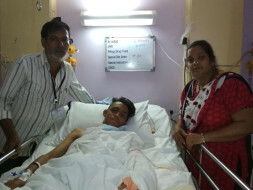 Aman requires surgical treatment for his arm and the total cost of the surgery is around 12 lakh Rs. This amount is far too high for Abdul to afford as he has a salary of just 8000 Rs a month. He needs our help to save his son. Your contribution can give Aman the treatment he deserves. Aman is doing well as of now, he was discharged from the hospital recently. He underwent a surgery last month. Currently, he is at home but he's not very active. The movements are less and he still needs support. Doctors have suggested that there maybe a surgery scheduled in seven or eight months from now depending on his condition then. Thank you so much for the support which you have shown towards him, we shall always be grateful to each one of you. May God bless you all. Thank you for the support that you have shown towards my brother Aman so far. He is doing better now compared to earlier. He has undergone two surgeries so far, one surgery was on his left forearm and the other a plastic surgery. 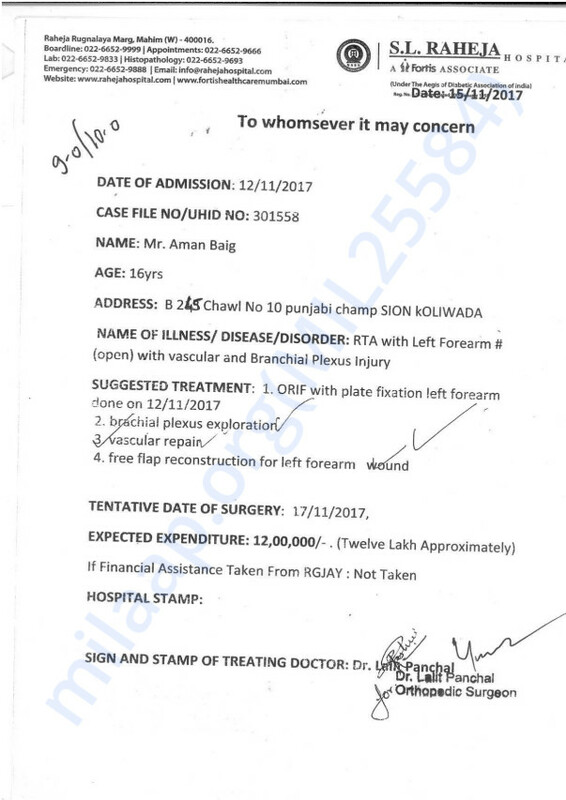 There is another surgery scheduled around the 15th March and then he will be on physiotherapy so that he may regain his strength and be able to move his left hand. Thank you all once again for the wonderful support that you have shown towards my brother. Please do pray for his health and speedy recovery.